The Amun Temple and Chapel of Ramesses II - (1279-1213 BCE) is located in front of the Ptolemaic Temple and opposite the Hathor Chapel of Seti I and Amenhotep I temple. 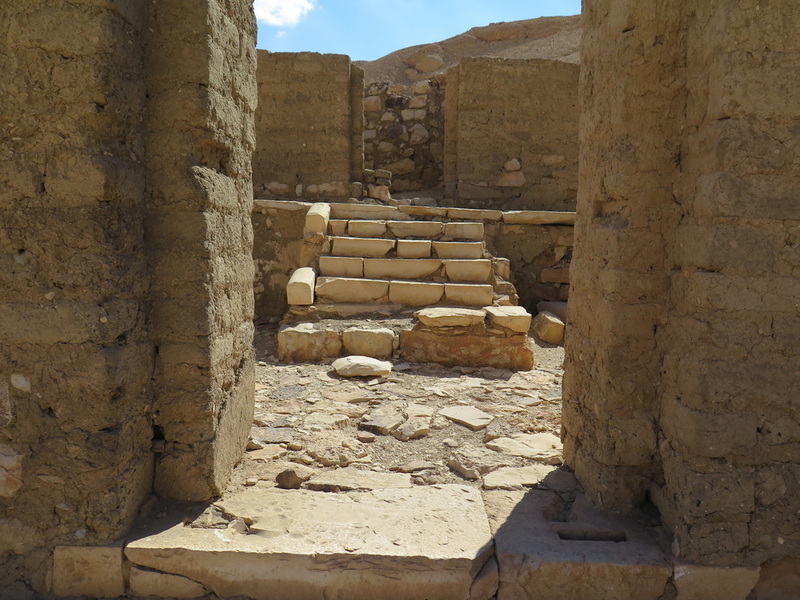 It is an unsigned, often overlooked and missed temple. 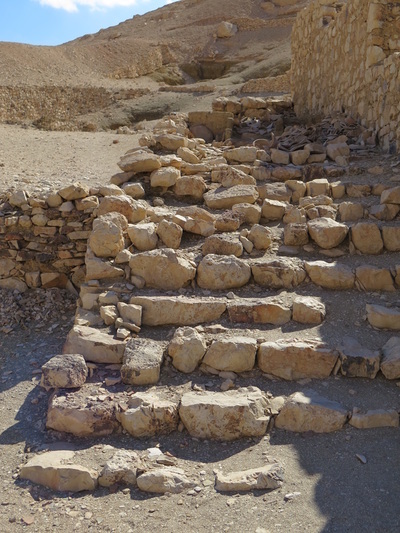 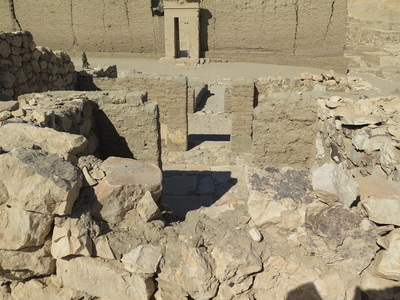 A French team excavated this temple in 1939-1940. 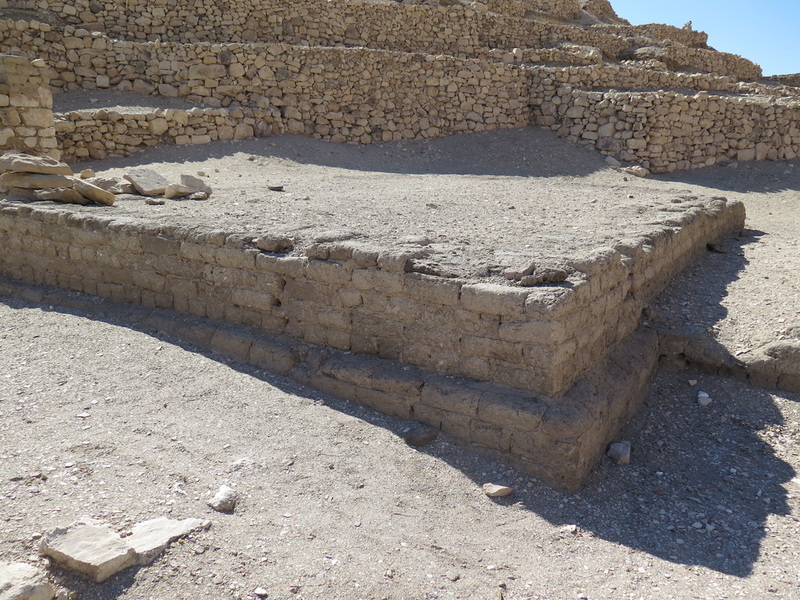 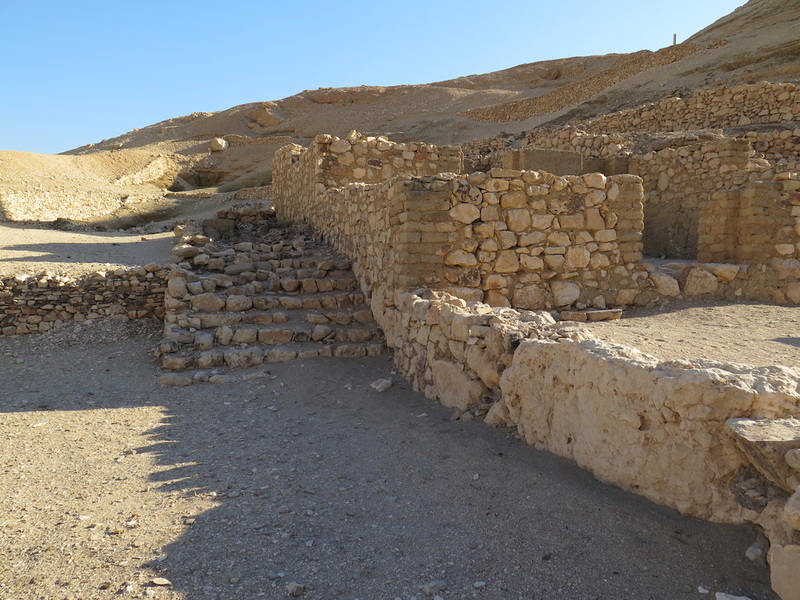 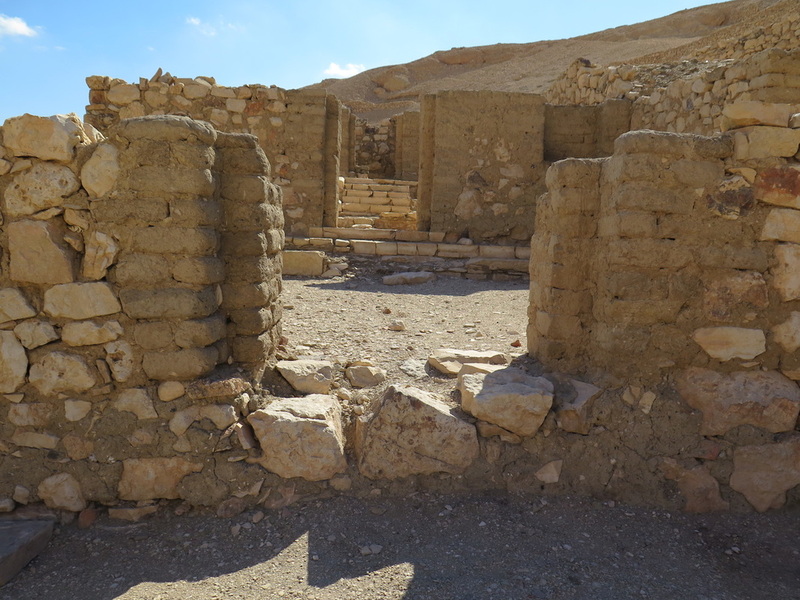 The Tripartite Sanctuary was dedicated to the Theban Triad. 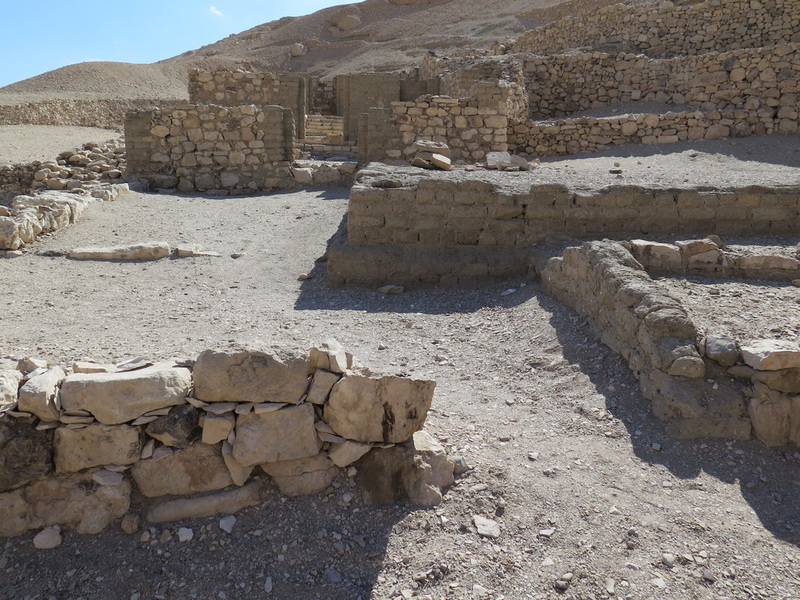 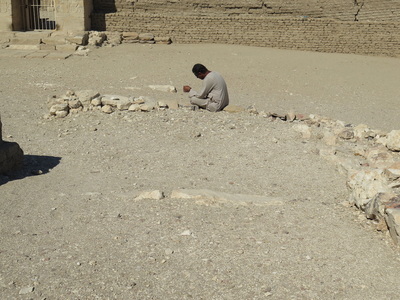 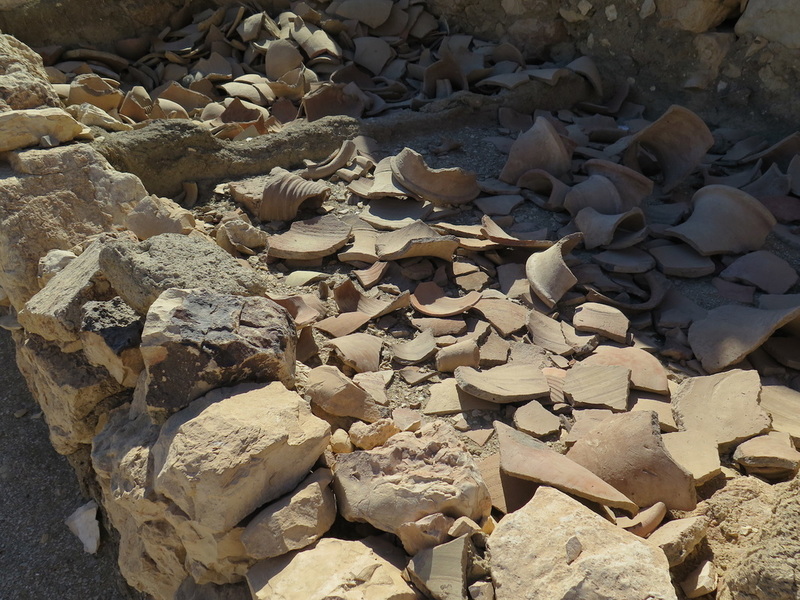 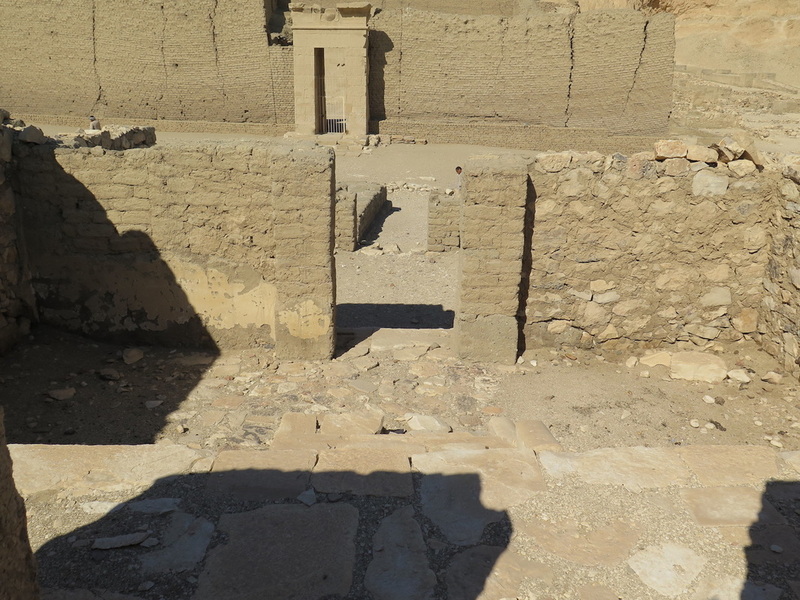 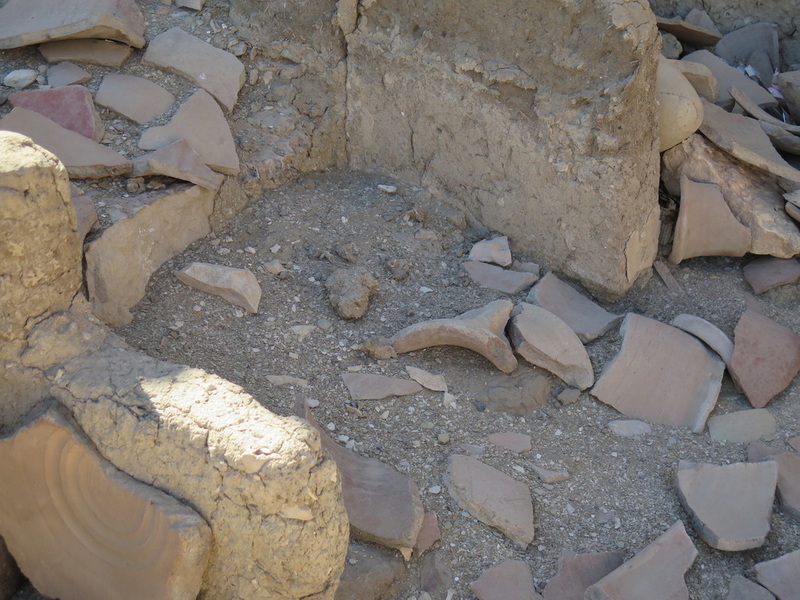 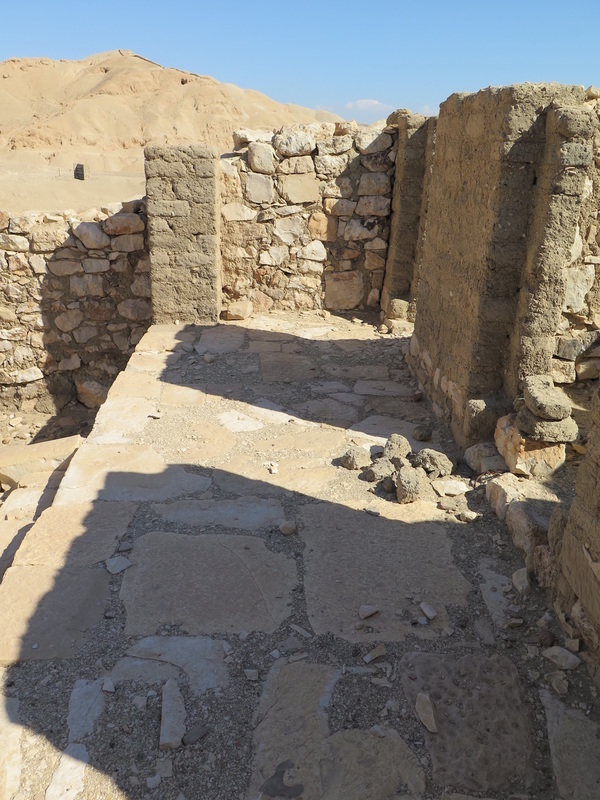 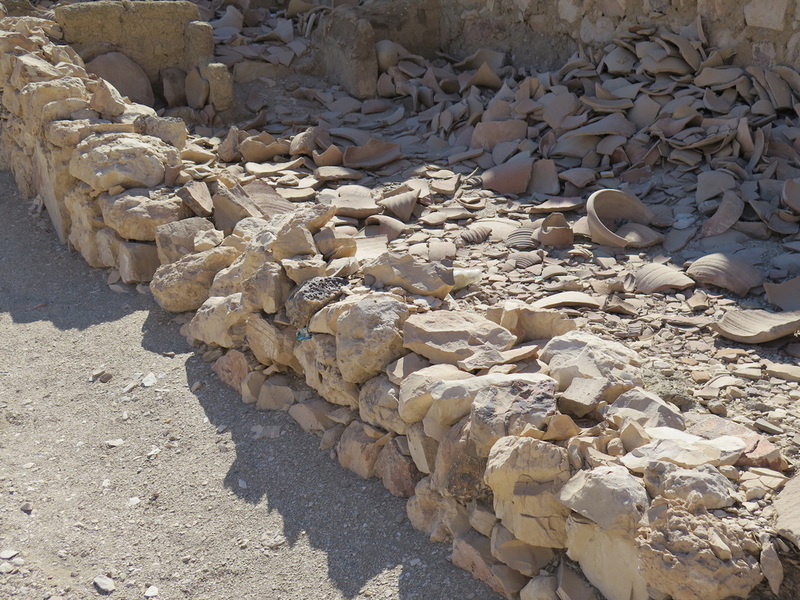 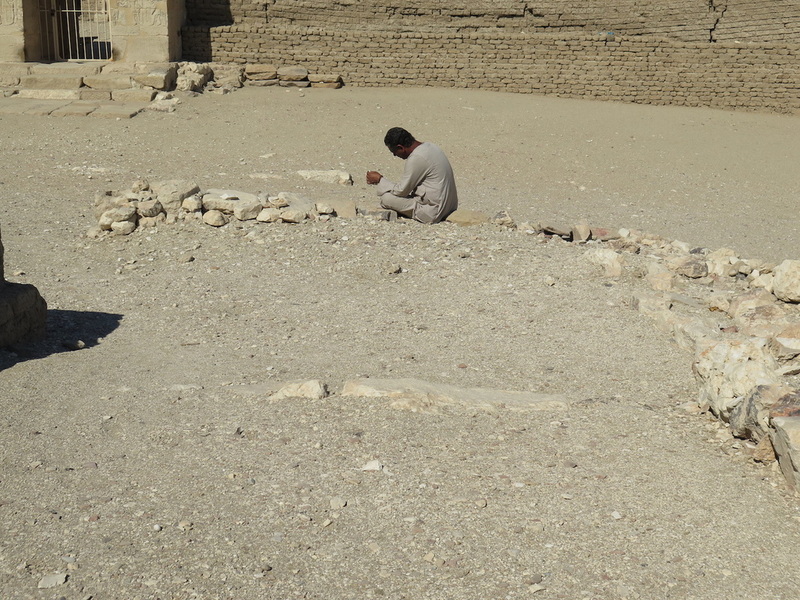 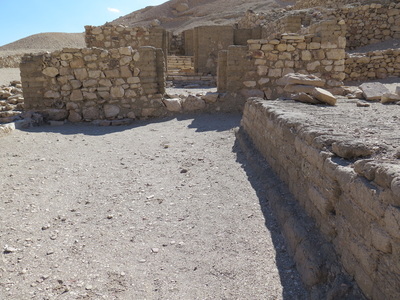 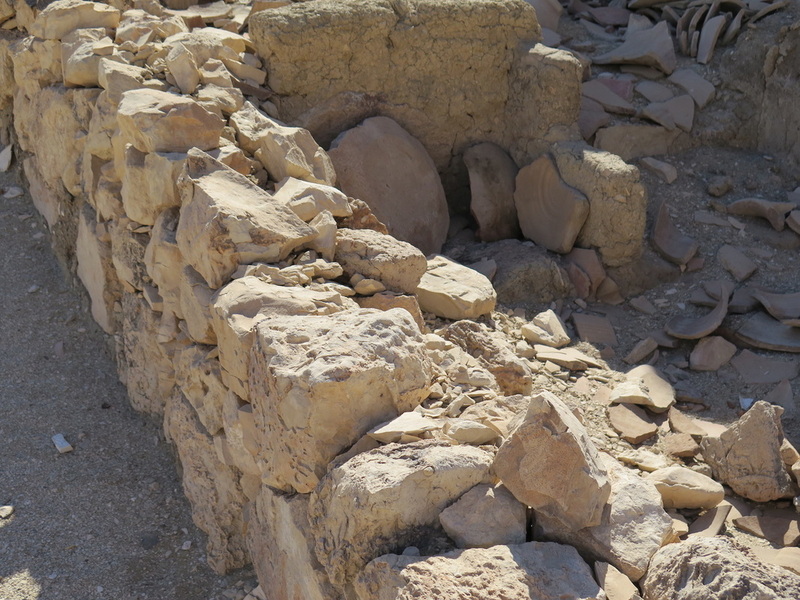 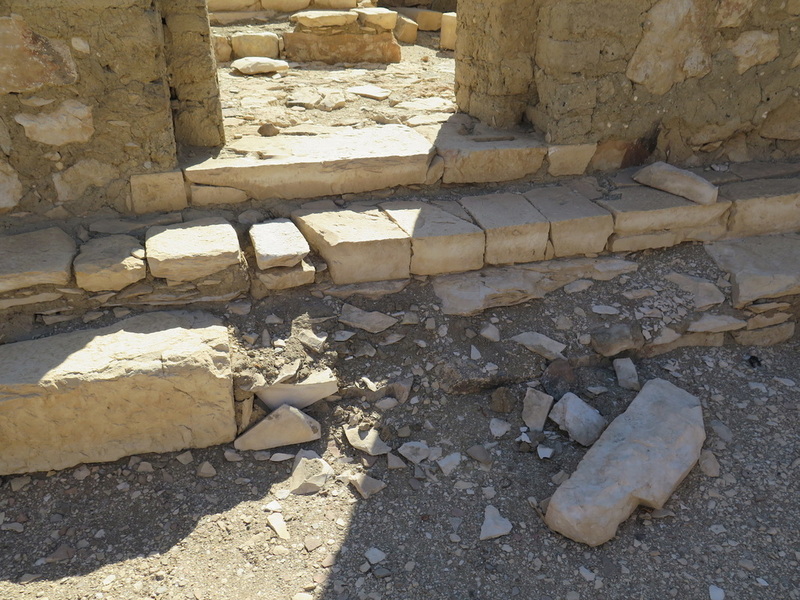 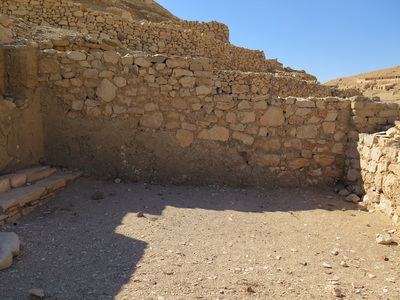 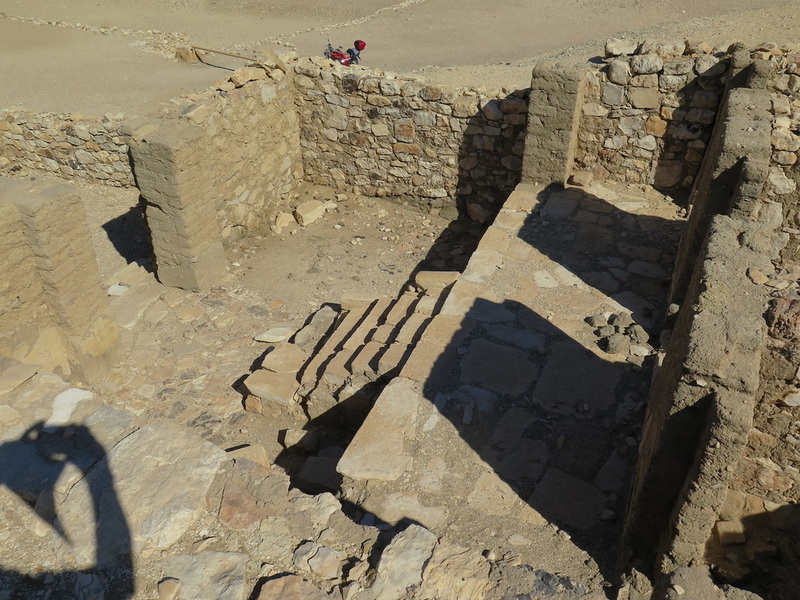 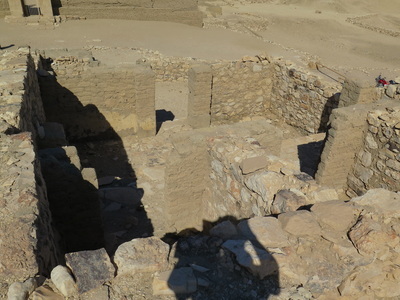 The Chapel to the left and North of the temple is now used as a pottery and shards store area. See photo. 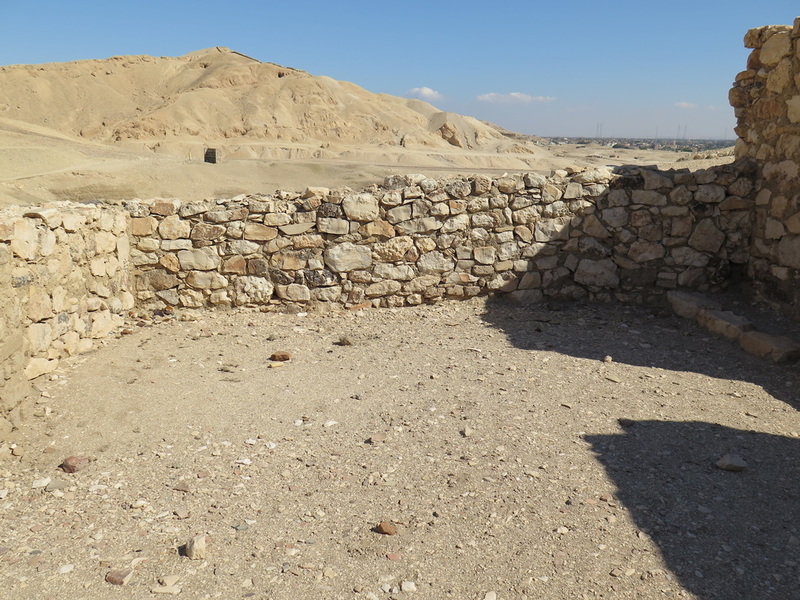 A statue of Vizier Panchesy was apparently found in this chapel. 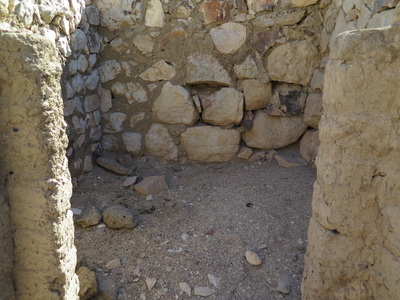 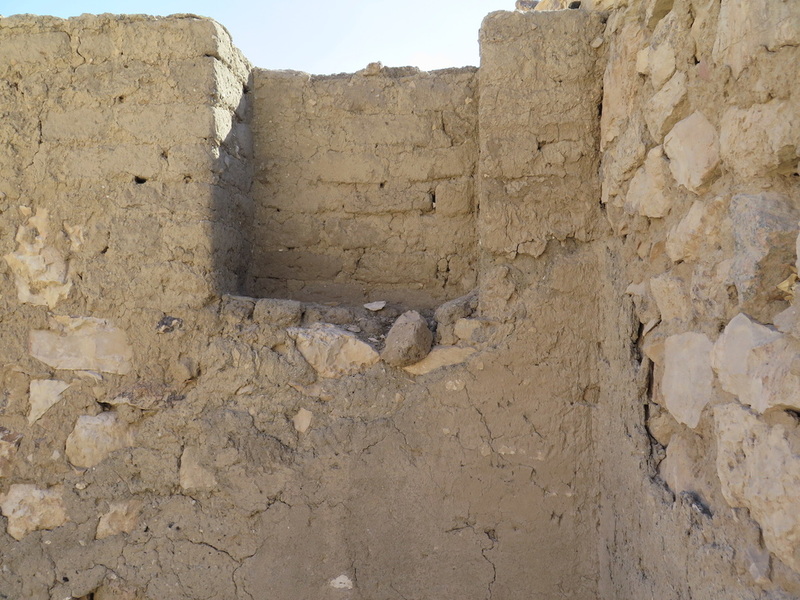 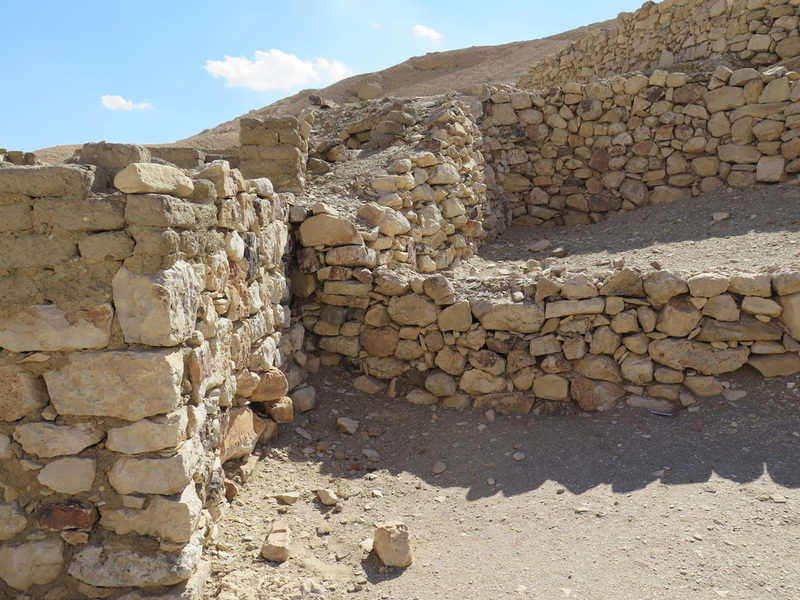 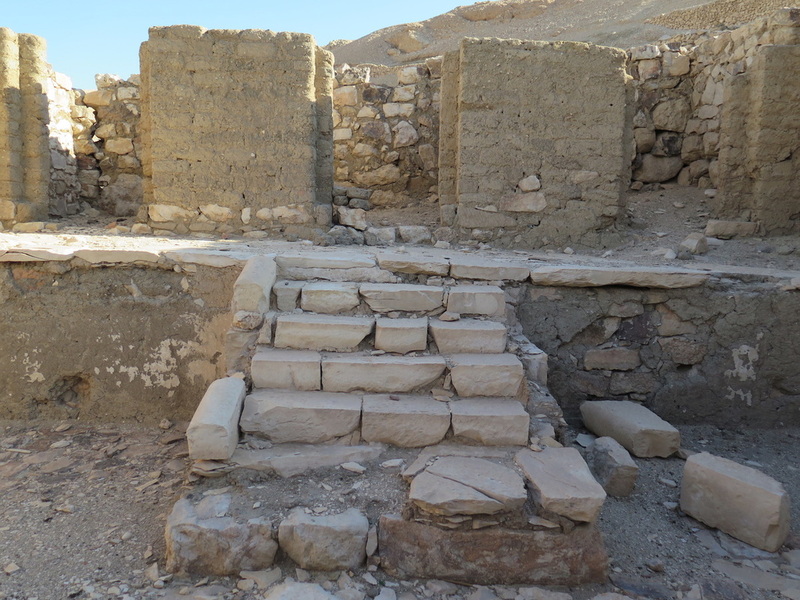 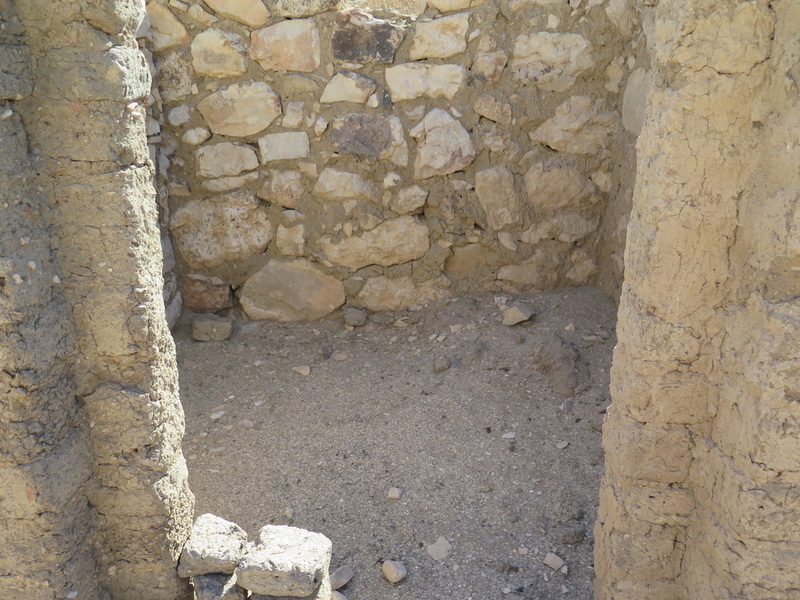 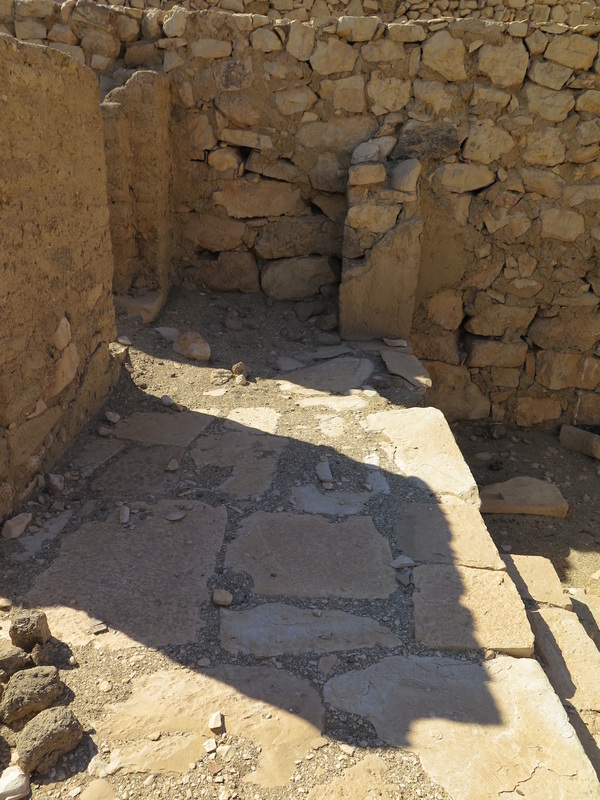 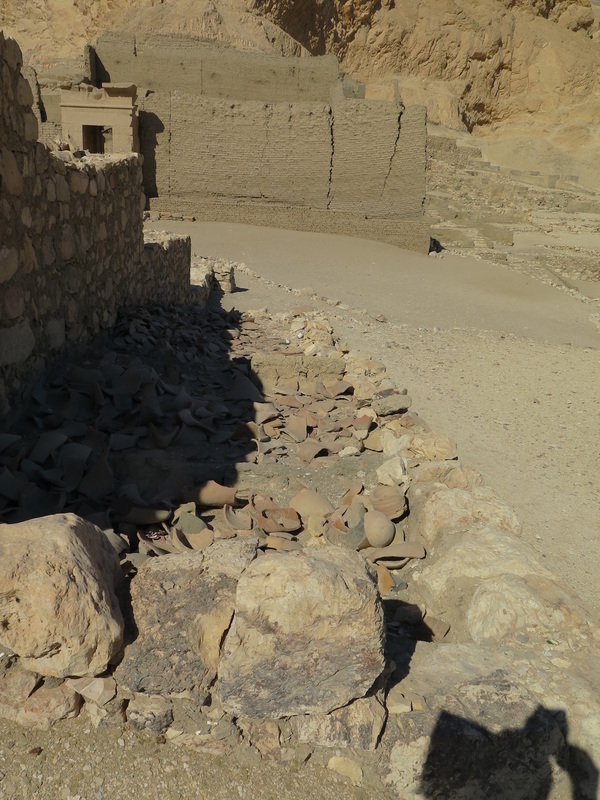 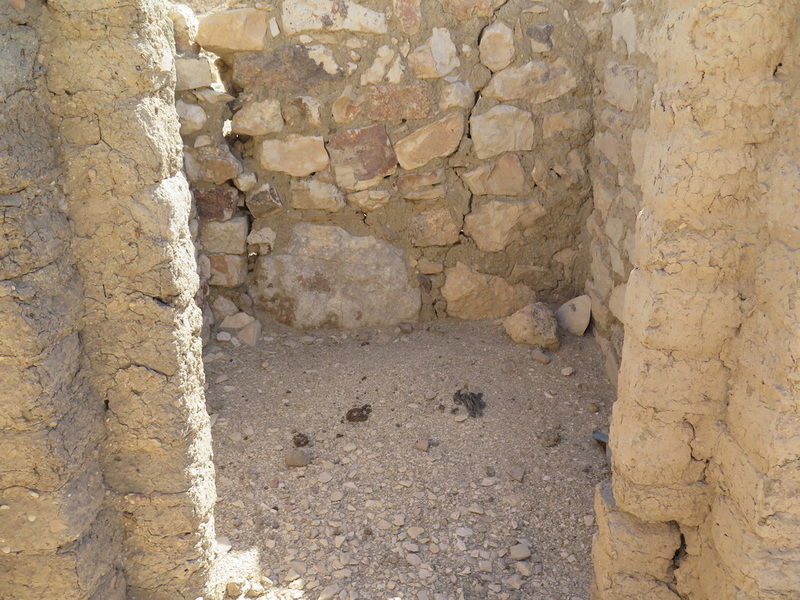 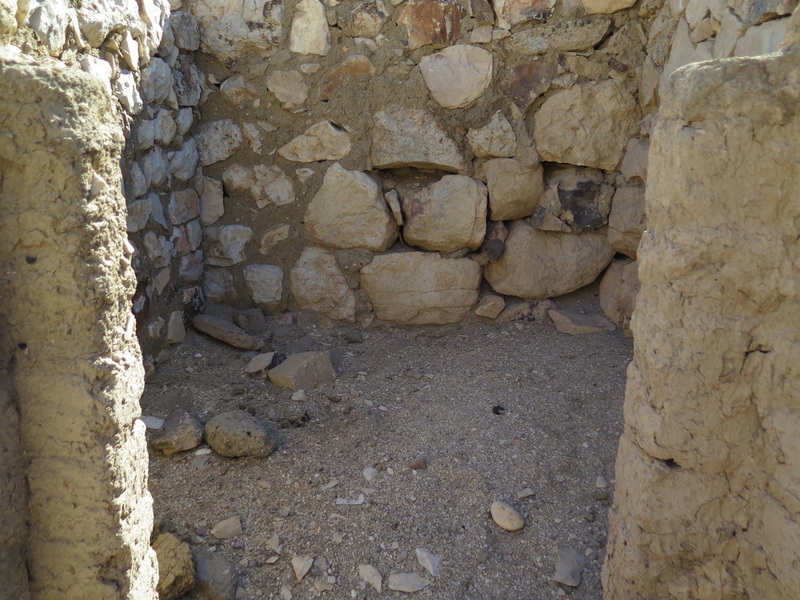 It is a small temple with later mud brick additions in front and to the right of the entrance. 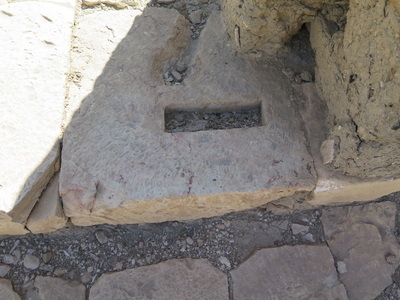 It is in a sad condition with many parts now disarrayed and missing. 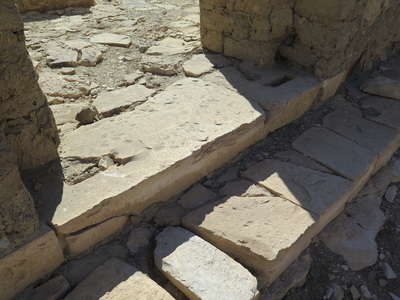 In front of the Forecourt with bud brick additions to the right.